Steelwork contractors are often held up as being in pole position in terms of the introduction of and increasing use of BIM. In this article, NSC looks at how computer software is utilised at each stage of the structural steelwork process. At the earliest stage, modelling and estimation software plays an essential part of the steelwork contractor’s role on a project in the bidding process, and its use is increasing. Using this software provides the ability to create a model of the steel frame so steelwork contractors can; visually present the content of their bid alongside the associated costs, provide insight into the sequence of construction works; can identify solutions to reduce health and safety risks and can identify areas for improvement. Following appointment on a project, commonly used software in the steelwork sector is that which closely supports the design and fabrication process. “Trimble’s steel design and detailing packages are no longer simply tools for producing drawings. They are a core business system that produces and processes data throughout the life cycle of the project feeding all departments of the steel fabricator company, and beyond.” Richard Fletcher, Managing Director,Trimble Solutions (UK) Structures DivisionFor design, structural frame analysis aids the process of calculating the forces, moments and deflections to which the members in a structure will be subjected. Software to carry out analysis of structural elements was first used by the steel construction industry. Over time, it has developed from providing a rudimentary analysis to a comprehensive analysis of very complex structures. 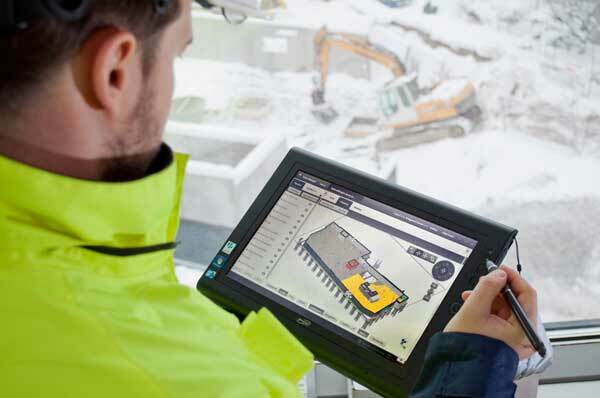 Software for the design of connections is also heavily used with a large range of specialist solutions available to the steelwork contractor. 3D modelling software allowing steelwork contractors to create a virtual prototype of the steel frame is one of the most important pieces of software a modern steel fabricator uses. Data from the model can feed into many business processes. Importantly, data from other parties can be imported into the modelling software and the steel model can be exported in Industry Foundation Classes (.IFC) format for use by others. It’s this function which plays an important role in the adoption of BIM. The BIM process is not about specific software products but about working collaboratively to produce good designs and better assets through fully coordinated and electronic data interfaces. The objective is to provide the building owner with the data they asked for in the format they requested. They will then use the data to manage and maintain the asset over its lifetime. During the design phase, the structural steel will be modelled to facilitate fabrication. Materials Resource Planning (MRP) software then processes the bill of materials data from the model which is used for procurement of materials, manages data to drive automated cutting and fabrication machinery, plans logistics, as well as piece weights for crane planning. MRP software can also be used to monitor progress of fabrication by capturing data about each part as it passes through the different fabrication processes. Software solutions that can be used to plan and manage transport activities include the organisation of empty trailers for loading as well as dispatch of finished loads to site. Global Positioning System (GPS) technology and software to track delivery vehicles has been available for some years and the use of radio-frequency identification (RFID) technology enables individual objects to be tracked if required. Advances in software interoperability means that specific data from a design model can be created and imported directly to the surveying equipment used on site. The process can also be carried out in reverse, enabling data captured on site to be imported back into the construction model for compliance and comparison purposes. Actual progress of the works can be captured and reported back using an increasing number of mobile devices and Apps available for use on site.